Reap some of the many benefits of a 501(c)(3) status to help your organization grow and strengthen.If you are running a nonprofit charitable organization, you will likely find that the efforts involved in seeking official 501(c)(3) status are worthwhile. Learn more about the benefits of IRS recognition as a nonprofit entity here. Many organizations want to be classified as 501(c)(3) so that they can be exempt from taxes as well as take advantage of the many other benefits that the status can give. Those organizations who are 50(c)(3) make sure to clearly state this in their mission statement as well as on any publications that they send out. One of the biggest benefits of a 501(c)(3) is exemption from taxes. This means your organization is exempt from federal taxes, sales taxes and property taxes. You may even be exempt from payroll taxes if you have employees. Being tax-exempt will save you money over time which is a plus to any nonprofit organization. Recognition of your status making your organization seem more credible to the public and other entities. You can clearly state this on all materials and on any application you fill out. Being eligible for grants on federal, state and local levels. Most funders state being a 501(c)(3) as a requirement to apply for a grant. They won't even consider an organization that is not registered as a 501(c)(3) entity. You will be given a certificate to show as proof. This will be required when applying for a grant. Discount postage rates and special non-profit mailing privileges. The United States Postal Service gives nonprofits the option to take advantage of special bulk mailing rates which can in turn save you a lot of money. Many media outlets often give free or discounted rates for announcements and press releases from nonprofit organizations. When planning to advertise an event or make a public service announcement, be sure to tell the outlet that you are a 501(c)(3). Due the fact that there are many benefits to take advantage of if you are a 501(c)(3), do your research and know all of your options so you cannot only save your organization money but can help it grow in many different ways. Since there are many regulations to abide by when being a 501(c)(3) organization, there are sure to be restrictions as well. There are strict rules that apply to activities conducted by nonprofits as well as how they must report their assets. For example, 501(c)(3) organization can have earnings that benefit the director or officers directly. Lobbying and propaganda is prohibited by 501(c)(3) organizations as well. There are also restrictions against being involved with political campaigns. Endorsing a candidate is not allowed. 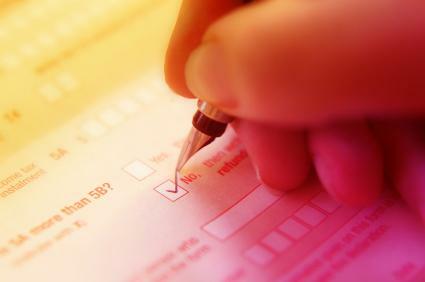 If you want to be able to take advantage of the many benefits offered to 501(c)(3) entities, be sure that you fill out the initial IRS application and get your status certification. Once you get the designation, it is important to follow the guidelines that are required and know what the restrictions are as well. Many organizations can enjoy the status and be proud of who they are and what they represent.